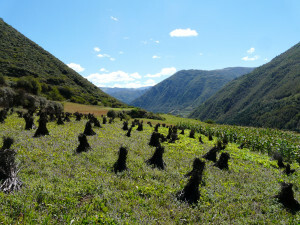 WSU archaeologist Jade D’Alpoim Guedes and an international team of researchers found that cooling global temperatures at the end of the Holocene Climatic Optimum, a 4,000 year period of warm weather, would have made it impossible for ancient people on the Tibetan Plateau to cultivate millet, their primary food source. Guedes’ team’s research recently was published online in the Proceedings of the National Academy of Sciences. Her results provide the first convincing explanation for why the area’s original inhabitants either left or so abruptly changed their lifestyles. One offshoot of the research: The ancient millet seeds that fell out of cultivation on the Tibetan Plateau as the climate got colder might soon be useful again as the climate warms up. Her results also help explain the success of farmers who practiced wheat and barley agriculture in the region 300 years later. Barley cultivation in Jiuzhaigou National Park hasn’t changed much in nearly 2000 years. The park is located in the Min Shan mountain range in northern Sichuan in southwestern China. Unlike millet, wheat and barley have high frost tolerance and a low heat requirement, making them ideally suited for the high altitudes and cold weather of eastern Tibet. Guedes argues this made the two crops an important facet of subsistence immediately after their introduction around 1700 B.C. “Wheat and barley came in at the opportune moment, right when millets were losing their ability to be grown on the Tibetan Plateau,” she said. “It was a really exciting pattern to notice. 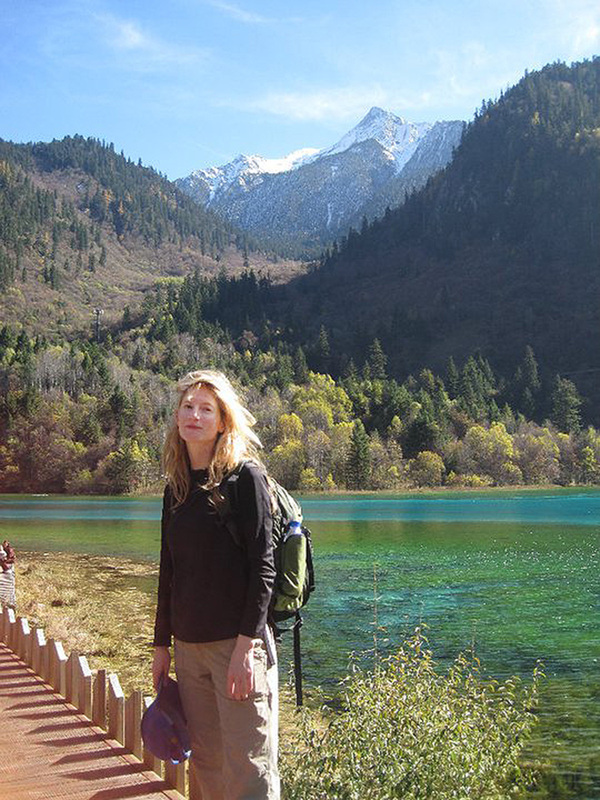 Jade d’Alpoim Guedes poses for a photo in Jiuzhaigou National Park where she carried out her research at the Ashaonao archeological site. At Ashaonao, Haimenkou and other archeological sites in the Tibetan highlands, researchers for years had noticed a growing trend. An abundance of ancient wheat and barley seeds found at the sites suggested the crops rapidly replaced millet as the staple food source of the region during the second millennium B.C. The findings were puzzling considering the scientific consensus that the region’s climate would have actually favored millet, due to its shorter growing season. The conundrum intrigued Guedes so she dove into the agronomy literature to investigate. She found agronomists tended to use a different measurement than archaeologists to determine whether crops can grow in cold, high altitude environments like the Tibetan Plateau. They used total growing degree days – or the accumulated amount of heat plants need over their lifetime – rather than the length of a growing season. “My colleagues and I created a new model based off what we found in the literature,” Guedes said. “It revealed that global cooling would have made it impossible to grow millet in the eastern Tibetan highlands at this time but would have been amenable to growing wheat and barley. “Our work turned over previous assumptions and explained why millet is no longer a staple crop in the area after 2000 B.C.,” she said. 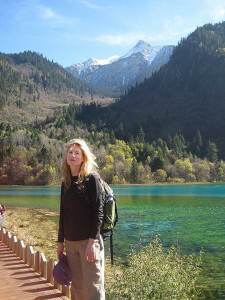 Her work points to climate cooling as the culprit behind the collapse of early civilization on the Tibetan Plateau. Ironically, the region is today one of the areas experiencing the most rapid climate warming on the planet. There are some areas in the southeastern plateau where temperatures are 6 degrees Celsius higher than they were 200 years ago. Rapid temperature increase is making it difficult for the region’s inhabitants to grow cold weather crops and raise and breed yaks, a staple form of subsistence in the central Asian highlands. Once again, their survival is endangered. “So now we have a complete reversal, and climate warming is having a big impact on the livelihood of smaller farmers on the Tibetan Plateau,” Guedes said.